If you’re in Osaka and you feel like seeing the famous Japanese macaques lounging in or around their pool, below you can find the way to go by public transport to the Snow Monkey Park. In order to reach the Snow Monkey Park, you have to get to Nagano. 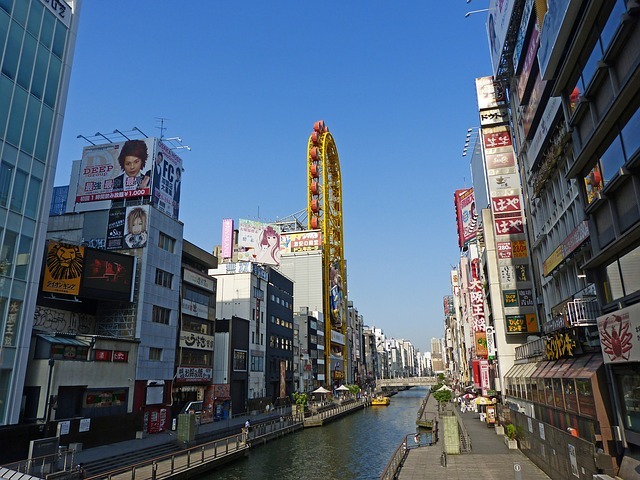 From Osaka, take the Shinkansen to either Nagoya or Kanazawa. 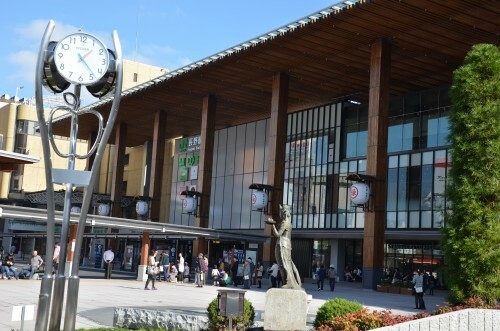 If you go through Kanazawa you can take the Shinkansen to Nagano (14290 JPY and 4:40 minutes from Osaka via Kanazawa). 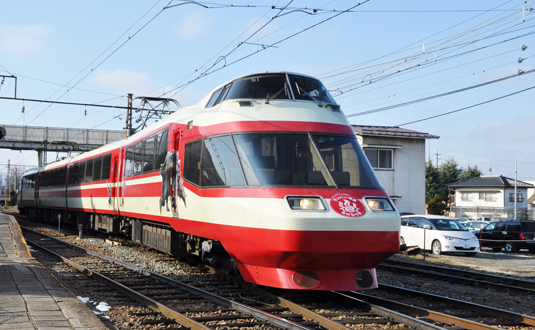 If you go via Nagoya, the train heading for Nagano is the Shinano Limited Express train (11790 JPY and 4:55 hours from Osaka via Nagoya). 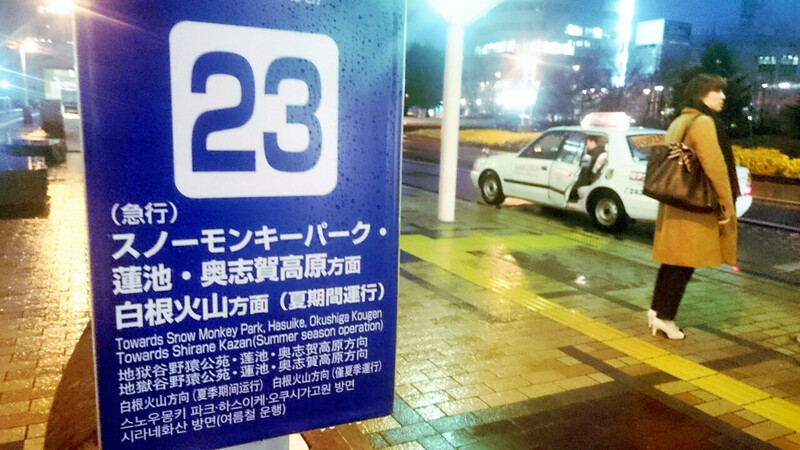 From Nagano, there are two ways to get to the Snow Monkey Park: via train or bus. If you want to go by train head for the Nagano Dentetsu train line and take the train with as destination Yudanaka. From Yudanaka Station you take the bus bound for either the Kanbayashi Onsen bus stop or the Snow Monkey bus stop. If bus is the way to go for you find the Nagaden Shiga Kogen Express Line bus and get off at the Snow Monkey bus stop. The Snow Monkey Park is 25 minutes by foot away from the Snow Monkey bus stop or the Kanbayashi Onsen bus stop. See here for local and express bus times. 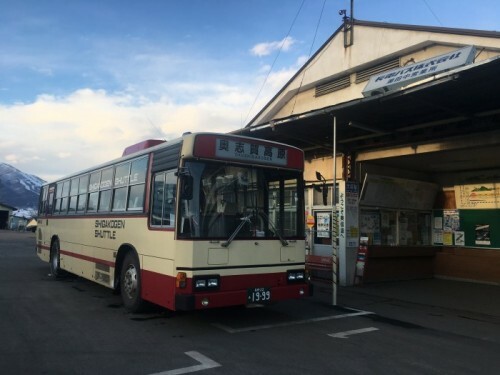 Another way to get directly to Yudanaka from Osaka is the Nagano Dentetsu night bus. Please see the Other Information page of the Snow Monkey Resorts magazine for the timetable and prices.